Longer monitor lifespan: Generally, LCD monitors last longer than CRTs. A typical LCD lifespan is 50,000 hours of use compared to 15,000 to 25,000 for a CRT. A longer monitor lifespan can provide a better return on investment. There we have it, a rationalising argument for purchasing the more expensive LCD model. Indeed that 50,000 hours works out to be almost 20 years at 8 hours a day, quite an impressive statement. In my experience, aside from those which fail unnecessarily early (and usually, therefore, still under warranty), a CRT monitor usually lasts a long time indeed, and to claim that LCDs are expected to outlive these by anything up to 3 times as much on average would certainly make them worth the extra cost. Sadly, however, this has not been the case. The first LCD I purchased failed 12 months out of warranty, whilst my mother’s failed with 12 months coverage to run. Of course it appears that when an LCD monitor fails, there is no working around it. CRTs gradually lose their sharpness or fade in luminance, which obviously becomes a problem at some point depending on what the monitor is used for, but does not make the monitor unusable for certain functions and short periods of time (indeed, one might even see the benefits of a bit of free anti-aliasing). The LCD monitors on the other hand had no such gradual decline; the first, an Eizo FlexScan L365, suddenly failed outright refusing to power on; the other, an iiyama ProLite E435S-B eventually stopped producing any blue colours, resulting in an increasingly irritating pink-tinged display. But this is where credit must be given to the customer support services of both of these companies. 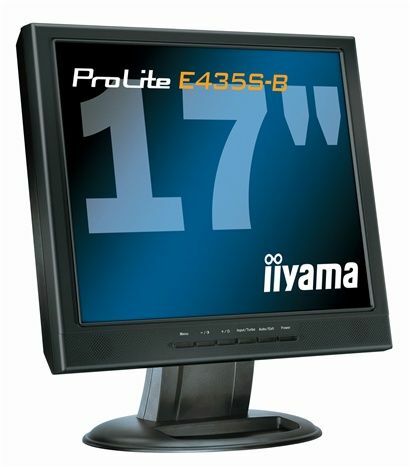 iiyama’s monitor was covered by 3 years’ warranty, and true to the agreement a replacement was sent, the old monitor taken away for repair or disassembling. Simple, no hastle, and a fresh display within a week of the problem being reported. The case of the Eizo monitor is a little more complicated as it was out of warranty when the fault developed. Of course without being able to even turn it on, the problem went undiagnosed until it could be returned to base. An estimate of £75 + VAT was offered to fix the monitor and return it, with us being given the option of cancelling it should the repair turn out to require a more expensive part. Given the monitor’s quality, and the fact that the price was very reasonable to at least save on waste, it was sent back. In the end, however, Eizo deemed the faulty part to be so small as to not be worth charging for, and the monitor was repaired and sent back without charge. And all this out of warranty! Ultimately the lifespan of LCD monitors has yet to be properly tested, and it will only be in coming years whether we find the initial estimates to be accurate or not, as many of the original buyers of LCD monitors may already upgraded to take advantage of improvements in refresh rates and contrast ratios, not to mention falling prices and larger screens. Nevertheless, we can rest assured that if companies are willing to offer the kind of customer support seen here, our investments may go the distance, even if the monitors don’t.